Christmas spirit isn't just for humans you know! These penguins proudly parade at Everland, South Korea's largest Amusement Park. 1. O Christmas tree, O Christmas tree, how lovely are your...wings? 2. This little chap has to decide who's been naughty and who's been nice this year! 3. The penguins get ready to parade. 5. This guy is really getting into the Christmas spirit. 6. 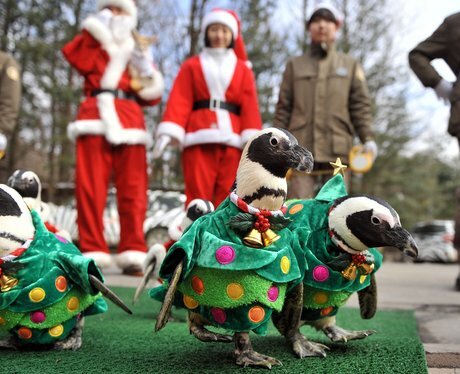 A motley crew of penguins begin their Christmas parade. 7. Nearly at the finish line!